Founded in September 2015, NUGENIS is young startup from Vienna /Austria that boasts a tremendous wealth of scientific knowledge from investigations to uncover epigenetic mechanisms. With our innovative solutions we can supply concrete applications from insights gained from basic scientific research. 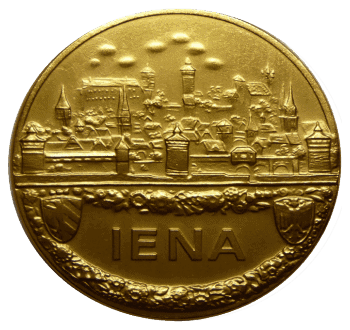 NUGENIS has already been internationally acknowledged – and declared winner of the gold medal for outstanding achievements in the field of neuroprotection at the renowned international Fair for Innovations, iENA, in 2015. The company’s founder, Dr Eduard Rappold MSc, has been in medical research for more than 20 years. He is also a medical practitioner and geriatrician who knows about the challenges of aging and Alzheimer’s dementia. NUGENIS closely cooperates with research groups interested in Alzheimer’s disease to develop applications from their scientific findings. The public has a right to profit from scientific progress. Our customers would like to improve their well-being and can support their health with our products. To keep conditions in the body natural, the only substances we use are those that uphold epigenetic mechanisms of protection, so you can stay active and energetic. NUGENIS is the only company to offer a supplement based on epigenetic control mechanisms with international recognition. We live in a modern performance orientated society with constant new challenges. To many, being able to have the freedom to make more individual choices and to have long-term ambitions is very desirable. It is important for us, to carry out the daily tasks of family life and society, work and leisure activities for as long as possible. For most of us, there is only one option: you have to change your life. Our brain is the point of control. It is down to us, to keep us energetic and productive. We are all responsible. The emerging scientific field of epigenetics can provide answers. Epigenetics proves that brain metabolism is adjustable and with it the way we interact with our environment. We all share the responsibility.